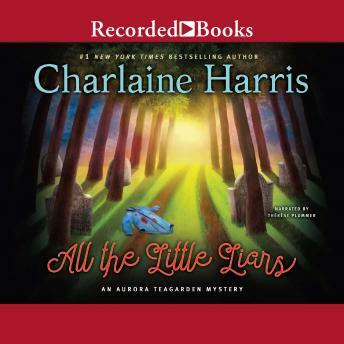 #1 New York Times bestseller Charlaine Harris returns to her Aurora Teagarden mystery series with a fabulous new book featuring the small-town Southern librarian. Aurora Teagarden is basking in the news of her pregnancy when disaster strikes her small Georgia town: four kids vanish from the school soccer field in an afternoon. Aurora's 15-year-old brother Phillip is one of them. Also gone are two of his friends, and an 11-year-old girl who was just hoping to get a ride home from soccer practice. And then there's an even worse discovery-at the kids' last known destination, a dead body. While the local police and sheriff's department comb the county for the missing kids and interview everyone even remotely involved, Aurora and her new husband, true crime writer Robin Crusoe, begin their own investigation. Could the death and kidnappings have anything to do with a group of bullies at the middle school? Is Phillip's disappearance related to Aurora's father's gambling debts? Or is Phillip himself, new to town and an unknown quantity, responsible for taking the other children? But regardless of the reason, as the days go by, the most important questions remain. Are the kids still alive? Who could be concealing them? Where could they be? With Christmas approaching, Aurora is determined to find her brother.if he's still alive.